What market segment or demographic does your largest customer group belong to? Is there a specific industry you have a strong track record with that would benefit from your expertise? Do you want to continue to serve this market and reach other prospects in this segment? Once you identify your ideal customer the next step is to determine where you can find them. Are they newspaper or magazine readers? Or are they on Instagram and have never seen a Yellow Page book? Chances are you have a mix of ages, interests or income in your target market groups. This is where creating combined marketing campaigns come in. Taking the time in the beginning when creating combined marketing campaigns will provide a multi-channel and cross-platform reach that can catch both the smart phone users and yellow page turners. Encouraging connections through multiple marketing channels builds the relationship between the brand and the consumer. In our effort to reach out to our specific target markets we decided to combine a direct mail campaign with social media and internet marketing to help us reach a larger segment of our specified groups. On our snail mail postcards we provided a custom URL for each market. Prior to mailing we created landing pages on our website associated with each target market. When the postcard recipient typed in the custom URL the landing page offered samples, testimonials and examples of services in their industry that would be helpful to them. Social media posts were created with hashtags and keyword phrases included on our website to help us come up when these prospects make a search inquiry for our services. Each ad was similar in design to the postcard that was mailed. The ad linked directly to the custom URL designated for the specific target group. The ads took them to our website landing pages with the information we wanted to share with them. The landing pages were also similar in design to the postcards and Facebook ad designs that were part of the campaign. One of our target markets is the Michigan construction industry. 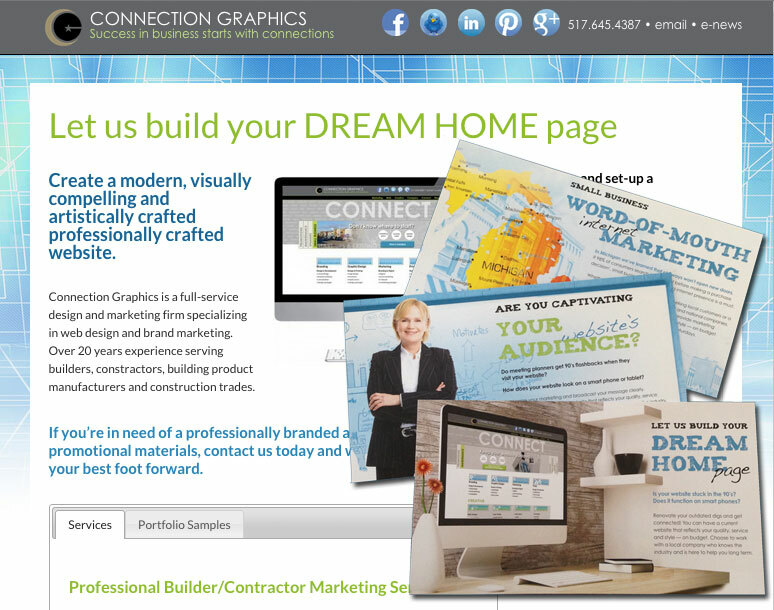 Connection Group has assisted customers in the Michigan construction industry with website creation and marketing management for nearly 20 years. We provide marketing and website design services to builders, remodelers, construction trades and construction product manufacturers. We have the experience, we have the reviews, and we know we can help more meet their business goals. Unique URL and landing page will help us to track visitors and determine the effectiveness of the direct mail component. Facebook and Google Adwords search would be the best use of our (very limited!) internet advertising dollars. The above solutions were chosen to fit within our marketing and advertising budget to market to the construction industry. 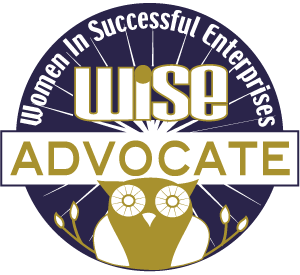 Other marketing segments we provide marketing services for are small to mid-size businesses and professional speakers. Fortunately these groups can be reached on the same media platforms as the construction industry. Pretty strategic marketing right there, right? This approach reduces our need for researching other platforms and keeps our media spend within budget. If we choose to increase our marketing budget for let’s say the professional speaker market we know media behaviors of this group show they are internet savvy and social. With those traits in mind we could become an affiliate member of the National Speakers Association Michigan or National Speakers Association since we work with Professional Speakers across the country, We could purchase advertisements in their publications, be a vendor at one of their trade shows or sponsor an event. We would not purchase billboards, tv or radio advertising for this group – but we may want to look at YouTube for display or video advertisements . Long standing businesses who are discovering that traditional advertising and marketing isn’t working anymore will find their sweet spot by creating combined marketing campaigns. Television may still work for some of your customers, combine it with a YouTube video or adwords campaign and see how many new customers result. As in the dawn of the advertising age, knowing your customers interests and needs will help you be where they are and form authentic relationships. Not sure where to begin? Connect with us today for a consultation and assistance creating combined marketing campaigns that connect with your target market.